Visualizing Health: what would patients expect? As a family caregiver I need to see the results of many medical tests such as computer tomography (CT), ultrasound or magnetic resonance images performed by different medical specialists often from a variety of medical institutions. It seems quite natural and feasible, in order to get insight into patients health conditions, considering all modern technologies that rapidly appear on the market. Reality, though, is different. I vividly remember myself roaming between cardiology, neurology and archive departments of one of the most prominent hospitals in Munich, Germany – Bogenhausen Krankenhaus – seeking for the results of radiography performed on a patient after a complicated cardio operation. Despite the appalling fact that at least five X-ray tests were conducted within a week – each day an X-ray investigation without notifying the relatives, all obtained images mysteriously disappeared. The next unforgettable experience was in the German Cardiocenter (Deutsches Herzzentrum) in Munich where we arrived carrying a CD in our hands, with the cardiovascular image produced by the gamma-camera at local nuclear medicine facilities about 20 km from Munich. To my big surprise, a cardiology “expert” bluntly returned the CD with a barely disguised embarrassment requesting “written comments” from the physician who had created it. That presumed to drive back to the small city of Unterschleißheim asking for the recorded CD image to be explained by words instead of looking through the authentic images that carry much more information. I do not want to question the competence of experts from the German Cardiocenter. I suspect the issue was more technical than professional, requiring the familiarity with certain viewers. Even if our doctor in this respectable institution had an appropriate software on his PC that supports DICOM (Digital Imaging and Communication in Medicine), the standard itself is quite complex and needs a prolong training. Even major vendors have their own modifications of MRI and CT scanners which export DICOM data in proprietary ways so that one can hardly blame physicians [1,2]. As patients we are wondering: which medical examination is better and more accurate for us? Should we go through CT or MRI? Though the final decision is with our doctor, it is important for patients to understand the pro and contras of the imaging techniques. 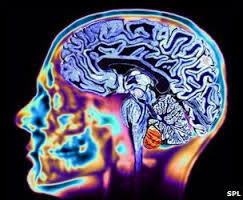 Modern imaging studies of physiological objects are using different physical principles depending on the specific location of the body organ to be investigated and the quality of image required. Quality in this case means the contrast and the resolution of a picture reflecting different levels of physiological information. For example, the system described in plain radiography reflects the absorption of X-rays by different tissues giving a 2D image of structures within a body. While passing through more dense and structured tissues, e.g., through bones, X-rays are scattered, diffract and dissipate thus creating contrasts between the body objects (dark vs. light shades). That is why X-rays tests are more frequently used to locate fractures or bone pathologies accompanied by density variations, lung pathologies or abdominal obstructions. A more advanced CT system computed tomography is also based on the contrast between the unperturbed and attenuated X-rays, but here X-rays are emitted in different angles thus creating cross-sectional view of body slicers. The resulting image is produced by a set of attenuation coefficients integrated along the irradiation lines. Given a large series of 1d or 2d projections obtained by scanning a patient from various directions, a 3d image of an investigated object (organ or a body structure) can be restored using some well-known mathematical (Radon) transform. Often this method is used in combination with special contrast agents. Due to the cross-sectional (slice) nature CT images are more informative, and applicability to medical fields can be ensured: muscle or bone disorders, looking for tumors or a blood clot, injuries to internal organs (kidneys, liver, spleen, etc.). CT is also used today to look into the heart (cardiac CT). The CT method has some obvious disadvantages as well: due to the multiple exposure to radiation, the doses received by a patient are much higher than in other radiographic techniques. Contrary to CT, magnetic resonance imaging (MRI) is using strong magnetic fields combined with a relatively weak radio frequency wave signal to produce real time 3d images of the inside of the body. Magnetic field applied to the body aligns vectors of magnetic moments (proportional to nuclear spins) along the direction of the magnetic field. The image contrast is determined by the signal difference from various parts of the examined organs, this signal difference mainly depending, in its turn, on the relative density of hydrogen nuclei (protons) in the tissue: magnetic moments of protons in such tissues align themselves easier, mostly due to simplicity of the hydrogen atoms. Thus, tissues containing hydrogen or water (and this is approximately 70% of the human body) produce more contrast images. That is why compared to CT, MRI gives a better insight into soft tissues such as muscles, joints, breasts, heart and blood vessels or most internal organs, e.g., the liver, womb or prostate gland. Nowadays special chemical agents exist that are designed to enhance the contrast. The disadvantage of MRI compared to CT is that it takes longer time for examination (about 30 min. compared to 5 min. for CT), thus MRI is difficult to use in emergency cases, e.g., stroke or potential brain bleedings which obviously requires faster reaction . It also contradicts with metal body parts or implants, e.g., cardio pacemakers. On top of that, MRI examination is quite sensitive to patient movements, so a patient should remain still during the whole investigation in order not to deteriorate the image quality. Advances of Nuclear Medicine open new opportunities for a deeper insight into human body. A sensitive crystal embedded in a gamma camera detects the distribution of tracers injected into a body. The results are converted into a digital format to produce 2d and 3d images that reveal the cellular level metabolic changes occurring in an organ or tissue. 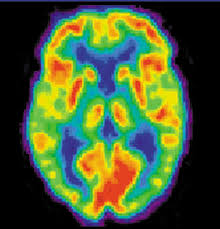 That is why nuclear imaging methods such as Positron Emission Tomography (PET) can often detect changes earlier than CT or MRI and thus works better for an earlier diagnostics . One of course has to be cautious of the potential allergy on isotopes that a patient is to swallow. The widely used ultrasound scan or sonogram utilizes high frequency sound waves that bump into tissues creating an echo captured by the computer in the real time. Though relatively safe, this method has some disadvantages as well. The correct ultrasound image strongly depends on human operator, since plenty of artifacts may appear on the picture as the incidence angle changes slightly. Ultrasound tests rely on acoustical wave reflection from inhomogeneities so that test results may identify a potential area of concern, but often one is not capable of telling, based solely on ultrasound examination, if some lesion is malignant or just a physiological peculiarity of a given organism. The false-positive results might require more tests and even further complicated procedures, up to biopsy or surgery. To give credit to this method it went through various stages of improvements since its discovery in 1953. By combining the traditional ultrasound method with Doppler blood flow investigations (and some specific improvements such as, e.g., transesophageal viewing), engineers and physicians have achieved ultrasound images with much better resolution compared to the initially obscure shapes. Thus, the mentioned transesophageal echography involves a flexible tube (probe) with a transducer at its tip. The probe is guided through the throat and into the esophagus (the passage leading from a mouth to a stomach). Because esophagus is located right behind the heart, the physician can get a much better view of the heart and blood vessels . 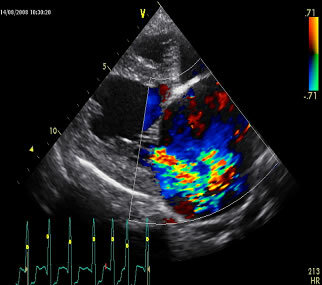 The approach is primarily used in cardiology under the name of transesophageal echocardiography. Though more informative compared to traditional cardio ultrasound tests, this method loses the biggest advantage of ultrasound: noninvasive approach to examinations. From many diverse images to a single comprehensive one. All of the above mentioned medical imaging modalities have their advantages and disadvantages, but none of them alone could provide a physician with the sufficient insight to arrive to a final diagnose. Patients, in their turn, have to go through multiple tests often associated with stress, side effects and potential health damages. Basically, what all of us need is a single, consolidated, all-in-one image of a suspicious zone or internal body organs that would aggregate multiple imaging data generated by different modalities such as CT, MRI, PET, ultrasound, etc. into one picture, without losing or replicating data. Luckily for clinicians, there are certain steps done in this direction based on the 21st century medical imaging fusion technologies. For instance, big companies such as General Electric Medical Systems and Varian Medical Systems set up a joint program called See and Treat Cancer care that combines metabolic (PET) and anatomical imaging (CT, MRI) examinations with intensely modulated radiation therapy (IMRT) to better treat cancer . Others start producing software that allows to view a variety of scans no matter where they are located from one entry point. For example, the Germany-based Brainlab company, Brainlab Buzz has created a single hub designed for operating theaters to view various medical images like CT, MRI, and Ultrasound on a single screen from a dedicated workstation of just a PC. Another step forward is the tool designed by the Canadian company Calgary Scientific ResolutionMD that retrieves data from multiple PACS (Picture Archiving and Communication Systems) archives no matter where images are located. The application is Web enabled so that images can be accessed from any PC, tablet or mobile device (with no right to download data to any of device in order not to compromise privacy). Despite the fact that all those technologies are making the life of a physician much easier, they are still used for clinical purposes only being unavailable to individual patients. Three criteria to meet patient’s expectations. Visualized information is much easier to perceive than multiple text documents. Once to see is better than one hundred times to hear. Therefor, for patients and caregivers computer applications with visualized representation of their own inner organs that maybe damaged are crucial to understand and manage diseases. Unfortunately, such applications are absent as yet. It is, however, possible that personal medical imaging applications based on image fusion will appear as extensions to routine clinical software to be used by patients in cooperation with their physicians. Nevertheless, these new applications have to meet three main criteria for a patient to be able to consume them. All-in-one multimodality image of your inner self. So far applications that allow patients to see the results of their personal MRI, ultrasound or CT examinations are a rarity. Sure, there are solutions like, e.g., designed by Microsoft Health Vault for uploading DICOM images to a personal electronic health record stored in the Cloud infrastructure and to be shared with family caregivers, home doctor or nearest emergency center. But those are still sequences of separate X-ray images that do not produce the holistic picture of the inside structure of an individual human. Clear insight into visualized organs. Let us not forget that with all available algorithms that are reconstructing medical data to create sophisticated images, the final algorithm is our own brain nourished with our life-long thesaurus. Just as snakes see objects differently from humans, physicians view medical images differently from patients. For a patient to get a deep understanding of her or his health conditions medical images have to be clearly interpreted and ideally supported by a physician’s written or voice comments. An educated patient can be a true partner for a doctor. For example, a patient normally receives, prior to an operation, a declaration explaining what will happen to her/him. Instead of multiple drawings to discuss the pending surgery a physician can produce a single image combining visual results of medical examinations performed on this person. Ease of access with widely used formats. Applications that require even minor efforts to access the data are doomed to die. Complexity and variety of DICOM and other imaging standards have to be drastically reduced; the standards themselves must probably be converted into widely accepted standards like jpg, png, gif, tiff, JPEG, etc. for the patients to be able to open and work with them easily. 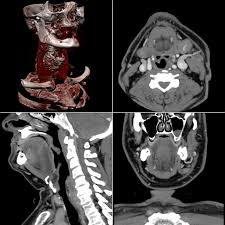 Moreover, it is important that the consolidated multimodality images obtained through MRI, CT, PET, echographic, etc. tests can be uploaded to a personal Cloud, e.g., Microsoft OneDrive or DropBox as parts of a personal record. If a patient wants to discuss the results with the professional she or he should be able to grant the latter an easy and secure access to the data. 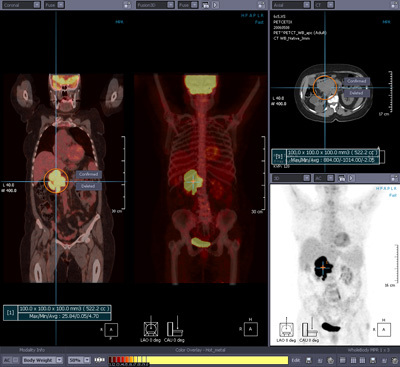 One of examples of the multimodality imaging fusion software is developed by Manzoma Technology Solutions, Infinitt Xelis Fusion. The product enables to consolidate multimodality studies (e.g. CT-PET, MR-PET) and to visualize the combined 3D images with the aim to perform quantitative analysis based on the images obtained by different examinations, regardless of whether they are from the same modality or from different modalities. Another product Integra ImageFusion Software is primarily used in neurosurgery. It helps clinicians to use complementary features of different scan types. For example, the offered system combines the advantage of CT spatial accuracy with the superior soft tissue MRI scan. With the advancement of 3D printers, one can even create an inner self atlas based on the results of recent medical examinations. Sounds like a dream? Not at all. I am sure that despite all technical and administrative problems somebody is working on such modeling applications at this very moment. ← Why do patients not adhere to their medication plans?